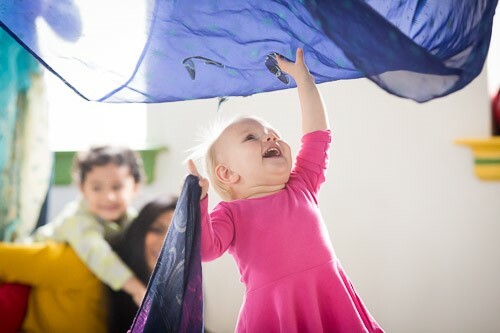 Each week at Music Together of Decatur, babies, toddlers, preschoolers, and the grownups who love them gather for 45 minutes of fun-filled family music time. Music activities range from lullabies to full-on jam sessions (with child-friendly instruments, of course). It’s so much fun you won’t realize just how much learning is taking place! Children learn through play. And playing with music is what we do! If you would like to learn more about this incredible, researched-based curriculum, you can now drop-in on a session in progress. In addition to learning all about what Music Together has to offer, you'll get to meet the amazing community of caregivers and kiddos who enjoy our classes every week. Our drop-in rate is $15 per class and *drop-ins are limited to three classes per family. Scroll down to schedule your drop-in class or click here to see a full schedule of classes and to register.